Once the most beloved child of the company car driver, the station wagon is no longer easy these days. Nevertheless, one quickly becomes aware of its advantages in the practical test. 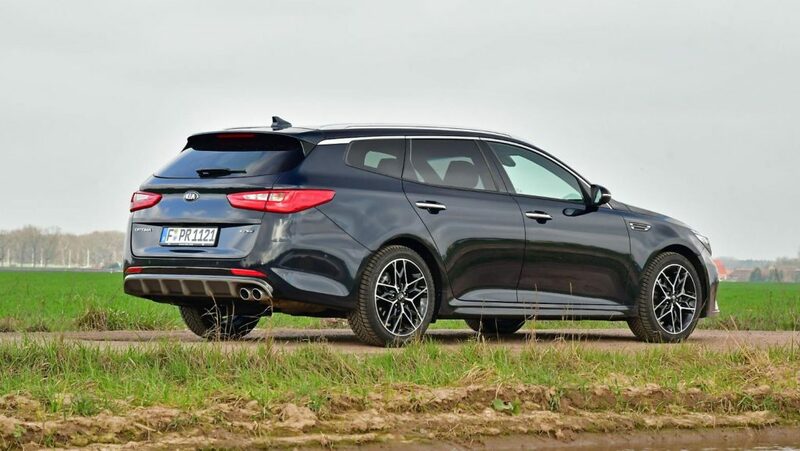 The Kia Optima SW 1.6 CRDi proved to be a loadmaster and true kilometer. The mid-range station wagon is no longer easy in Germany. Even the former bestseller, the VW Passat, is weakening in the company car clientele, because increasingly relies on the SUV. Nevertheless, the manufacturers do not tire of bringing their estate cars to a standstill and give them visually sporty lines, so that the phenomenon of the loadmaster with the fans continues to exist. 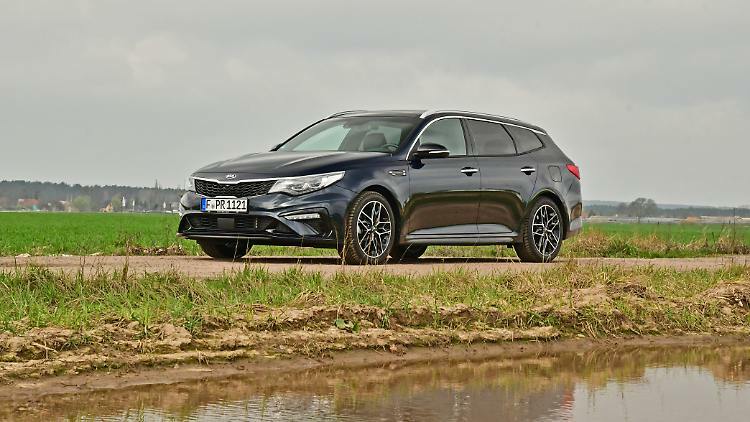 One of them is the Kia Optima SW. With the sleek, 4.85 meter long station wagon, the Koreans again launched an attempt last year to drive the class leader in the side. Visually, this has already succeeded, because especially when you choose the GT-Line gets the Optima SW a sporty appearance that promises a lot. Tigernase and headlights paint him a big grin in the face and at the rear give double tailpipes and a substructure like a DTM car the feeling of tough sportsmanship. The interior of the GT-Line also provides race track feeling: a flattened steering wheel, which is covered with perforated leather, nestles in the pilot’s hands, stitching on the sporty and firm leather upholstery as well as the Alupedalerie put it on top. But alas, if under the hood of the 1.6-liter diesel is installed. With its 136 hp and a maximum torque of 320 Newton meters you do not paint black stripes on the asphalt. Certainly not when the 7-speed dual-clutch transmission takes over the work of power distribution. Especially between level one and two there is indecision, which makes itself felt primarily during slow driving. For the sprint to 100 km / h, the driver has 11.8 seconds to take time and the top speed is given at 193 km / h, where the run until then quite fast progressing and the speedometer needle sometimes over the 200 points. However, the sound of the engine in such rides a bit rough. If you want, you can also set the switching times yourself via the chic and easy-to-reach rocker on the steering wheel. The paddles are owed to the GT-Line and do their part to give the driver a bit more sport feeling in the hand. However, the tummy tingling also remains off at the rocker circuit. On wacky speed games at the traffic lights you should not get involved anyway, because you usually lose that. For the 1.6-CRDi driver is more relaxed and relaxed. And he certainly finds it in the Optima SW. Only the range indicator ensures. If you take a look after filling the 70-liter tank, you can sit back and relax for 1100 kilometers. Otherwise, the Kia Optima SW naturally collects points, above all through its generous space available to the driver and passengers. In the second row, even the guest with the longest legs does not run the risk of rubbing his knees against the upholstery of the first row. Even the head will not be in the sky, because the rear passengers sit very deep. This in turn means that getting in and out is not easy for everyone. The trunk holds 552 liters: If the back seat is made completely flat, creates a flat cargo area, which provides 1686 liters. To secure cargo, Kia has already brought in series a charging network behind the trunk cover. This is good, but it also means that two beams have to be removed in order to be able to use the whole surface without restriction. Those who have really packed up, will be amazed how full the Optima is now on the road. At this point again a compliment to the suspension engineers. 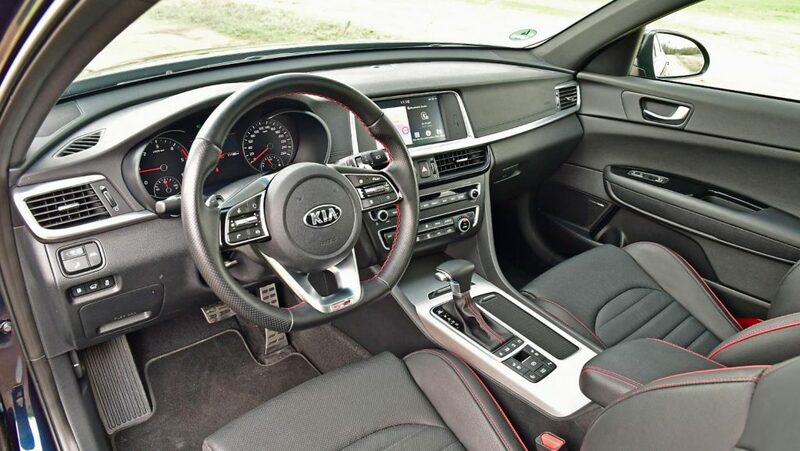 In this respect, the Kia Optima SW is a successful package of economy, payload and long-distance comfort, which is complemented by extensive equipment. Already in the base there is cruise control, Navi, climate control and reversing camera. Who chooses the GT-Line, gets even more, but already without further options shell out 39,000 euros, but here has a sensor-controlled tailgate, which opens when the key carrier is behind it, or an inductive charging station for the smartphone. Kia dispenses with a fully digital display, relying on proven round instruments and an active matrix display in between. If you still want a glass sunroof and electrically adjustable seats, lands bottom line at 41,560 euros. For the safety on the long haul include an adaptive lane keeping assistant, which does its job very feinnervig, an adaptive Abstandstempomat and just such a brake assistant. The systems work in a window of 30 to 160 km / h. The parking assistant of course not, but can independently control parking spaces in the longitudinal and transverse directions. For fans of good sound, the price also includes a Harman / Kardon sound system, from which one should not expect any miracles. It is controlled either by the now almost small-looking, 8-inch TFT or via the Bluetooth-connected smartphone. Of course, the surface of the phone can also be mirrored on Android Auto or Apple CarPlay. Let’s take a look at the quality. You can not deny that to the Kia. Even with the buttons and switches you will find fine rest and pressure points. Conclusion: With its 136-horsepower diesel, the Kia Optima SW will not lure spoiled company car drivers behind the stove. Especially since the price here is not far from that of a Passat, Opel Insignia ST or Peugeot 508 SW. But with a view to the overall package, which still has a seven-year warranty at Kia, and the really low consumption, those interested should at least get their own picture on a test drive.